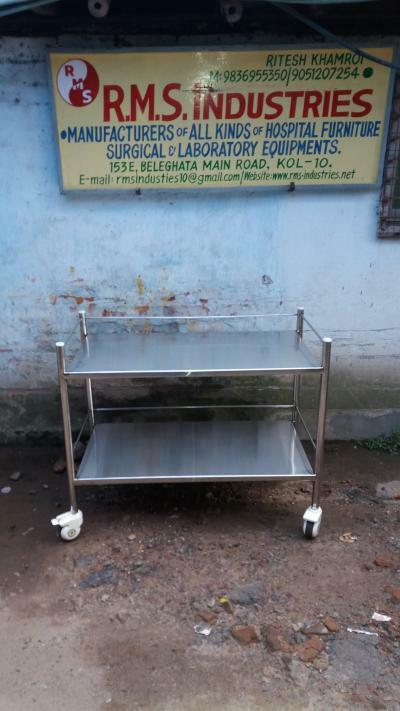 Big size Instrument Trolley with two S.S. Shelves, Frame made of stainless steel Mounted on 5". swivel castors, with two brakes Wholly made of stainless steel. Size : (40"L X 22"W X 32"H).